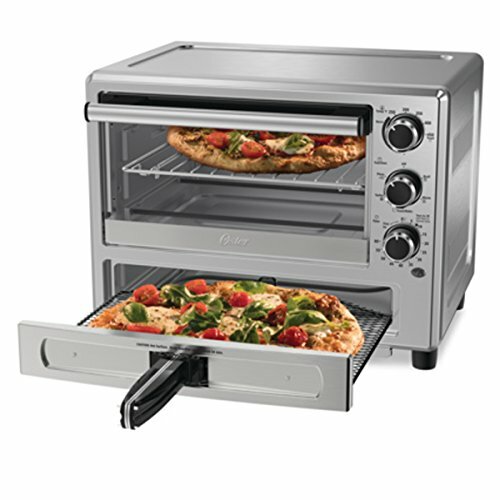 Are you tired of having to turn on your full size oven just to make a little pizza? Yes, there is the good old toaster oven, but those just don’t ever work too well. 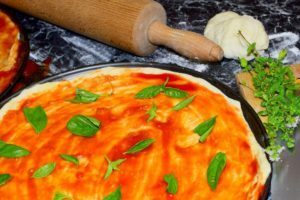 If you want to make a small pizza in a short amount of time, and don’t want to waste much energy, a counter top pizza oven is the way to go. Let’s get right to it and help you find the best counter top pizza oven out there right now. 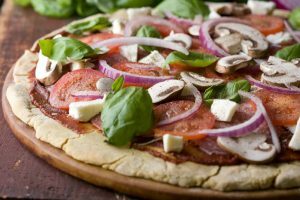 If you are on the hunt for a countertop pizza oven, the Presto Pizzazz Plus Rotating Oven is a nice option to keep in mind. In terms of size, it’s small and compact enough to fit on any counter. The pizza tray itself is 15 inches diameter, thus allowing you to make a fairly standard size pizza. Speaking of the tray, it is a non-stick tray, so you don’t have to grease it up before putting your pizza dough on it. Being very easy to use is another big bonus which you get here. By the way, the pizza tray is removable so you can easily wash it when need be. What is cool about the Presto Pizzazz Plus Rotating Oven is that it uses around 60% less energy than a conventional oven. Simply put, it just doesn’t take as much energy to cook a single pizza with this small device as it does to heat up an entire oven for a pizza. It’s a good option, not only if you want to save space, but also if you want to save money on your electricity bill. Even better is that it comes with a timer that is easy to set. Once the time runs out, the Presto Pizzazz Plus Rotating Oven will automatically turn off to ensure that you don’t use more energy than needed, plus of course so your pizza doesn’t end up getting burnt either. 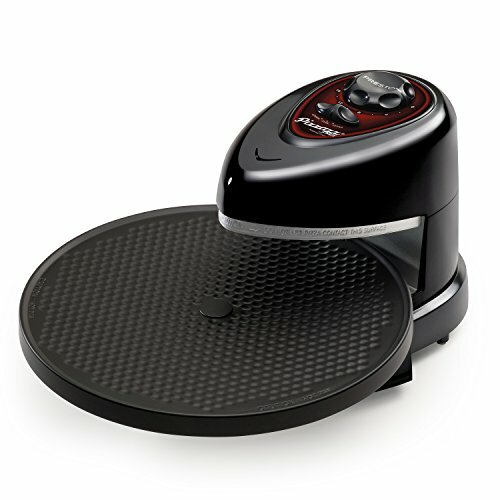 The Presto Pizzazz Plus Rotating Oven features a continuously rotating tray which ensures that your pizza is cooked evenly from all angles and sides. Albeit, the rotating feature is not all that durable, so treat it with care, because once it stops turning for good, it won’t work very well anymore. With that being said, this little counter top pizza oven features dual heating elements, which are present in the top and bottom. Not only that, but both elements can be separately controlled for temperature. This means that you can accurately control bottom-up and top-down temperature to ensure that your pizza is cooked just the way you like it. This is an interesting little option to go with. 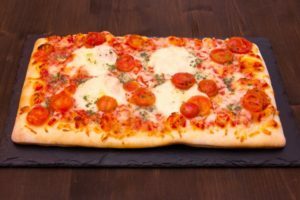 This is one of the smallest pizza ovens on this list, and it is really ideal for small pizzas. The pizza tray is 15 inches in diameter, which would technically be large enough for a moderate sized pizza. 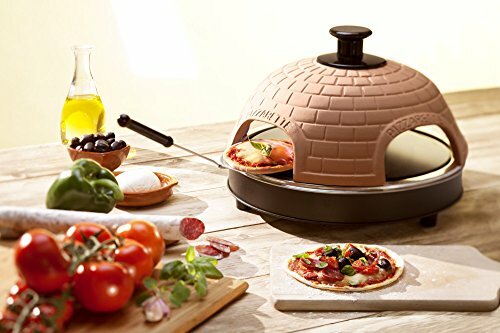 However, the TableTop Chefs Pizzarette Pizza Oven comes with a terracotta dome. We like the terracotta dome because it helps add a classic original flavor to your pizza. However, the dome has 4 little openings, one on each side, so you can only fit small pizzas through these openings, not 1 large pizza. Therefore, this is a good option to go with if you like making up to 4 mini pizzas at a time. 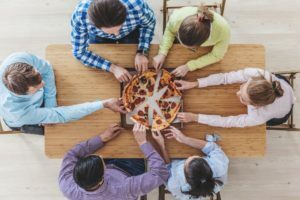 It’s a cool option if you have a lot of friendly get-togethers or if you have kids that love mini pizzas. We also like how the TableTop Chefs Pizzarette Pizza Oven saves energy, as it also uses around half the energy of a conventional oven, which is a really big deal. 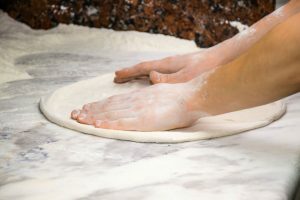 Although this thing does not use much energy, due to its small size, it does heat up really fast, within 5 minutes actually, so you are good to make pizzas in no time at all. The heating element can be precisely controlled for temperature so you can cook your pizza the way you want it. This item does also come with dual heating elements, one underneath the pizza tray and one in the terracotta lid for even pizza cooking. Thankfully the terracotta lid is removable, so you can have easy access to your mini pizzas, and at the same time, the baking tray is also removable for easy cleaning. You might not be able to make a large pizza with this thing, but you can surely make a lot of little ones, and in no time at all too. The Oster Convection Oven is definitely a neat little oven to go with. Now, it looks like your regular toaster oven. The top part of it is a classic convection oven that can reach temperatures of up to 450 degrees. Or in other words, it can heat up as hot as a normal full-size oven. 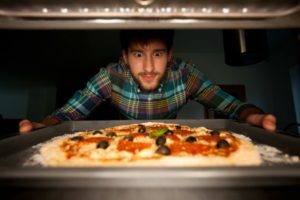 Of course, you won’t be able to fit massive things into this little oven, but it also does not use very much energy, a fraction of the energy used by a conventional full size oven. 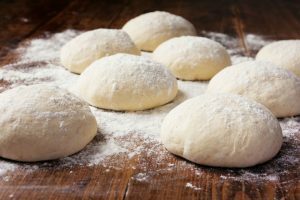 The oven can fit items up to 12 inches in diameter, which is not too bad. The Oster Convection Oven is quite small and can very easily fit on pretty much any counter out there. 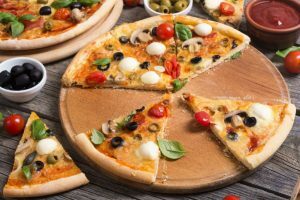 Now, the top can easily be used for pizzas, lasagnas, and other such things, but the Oster Convection Oven does have a dedicated pizza drawer in the bottom. The pizza drawer in the bottom can easily fit pizzas of up to 12 inches in diameter. No, the pizzas which it can fit are not huge, but they don’t take long to cook either. The pizza is also powered by the convection feature which powers the top. In other words, this thing does heat pizzas and everything else evenly. On a side note, the Oster Convection Oven can also cook quesadillas, grilled cheese, and other such items. We also like the Oster Convection Oven because it comes with easy-to-control knobs for user-friendliness. One knob controls the temperature, another one can be used to set the oven for the type of food being cooked, and the other is the timer. The timer features a bell signal so you can hear it, plus it also has an auto shut-off feature, which means that the oven turns off when your food is done, thus stopping your food from getting overcooked. This is another neat little pizza oven to go with, a very small and compact one. Now, it is a little wide, close to 20 inches wide, but it doesn’t take up too much room on the counter nonetheless. It’s still quite a compact option. The pizza tray on the inside is 13 inches in diameter, so you can make a small-medium pizza with ease. The tray is removable, so you can easily clean it, plus it is even dishwasher friendly. The tray also rotates so your pizza cooks evenly from all sides and angles. On that same note, the Ronco Pizza Oven has dual heating elements, one on the top and one on the bottom, which helps to cook your pizza from both the top and bottom, for even and fast cooking. 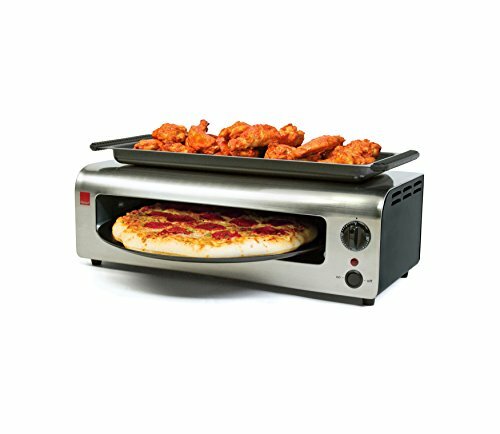 This thing does heat up real fast, which is a big convenience because you don’t want to have to wait forever to cook your pizza. One thing to note here is that you cannot control the temperature. This is fine for your standard pizza, but depending on the type of dough and toppings, you might need it a bit cooler or hotter, something which cannot be done here. We also like the Ronco Pizza Oven because it uses up to 50% less energy than a conventional oven, which is of course a big deal. At the same time, it also takes on average 40% less in order to cook a pizza, which is also quite convenient, especially if you have to pump out a few of them at once. The Ronco Pizza Oven also comes with a 30-minute timer that lets you know when your pizza is done, plus it has an auto shut-off. On a side note, the top of this pizza oven doubles as a warming tray, plus it actually comes with the warming tray to keep various things warm, which can also be removed and washed. 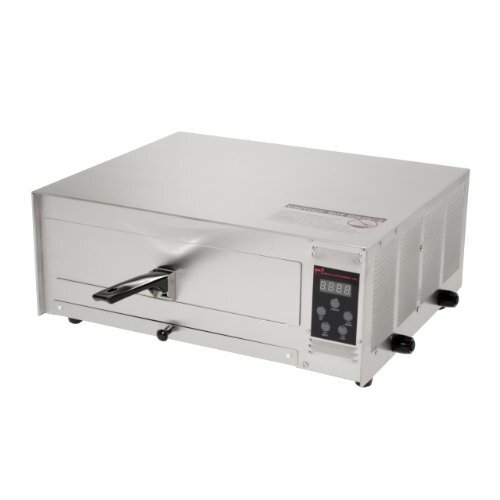 Although the Wisco Digital Pizza Oven does not look super nice or very fancy, more or less just a metal box, it works as advertised and it is an efficient little pizza oven nonetheless. This thing is quite small and compact, so it can fit on pretty much any counter and in any small space with ease. Although this pizza oven is fairly compact, it can still cook 13 inch pizzas no problem. 13 inches may not be an extra-large pizza, but still more than enough for most people. We like how the Wisco Digital Pizza Oven heats up very fast. It features a door on the front in order to ensure minimal heat loss. It’s actually like a little oven. It only takes a few minutes for this thing to reach full temperature so you can start cooking pizzas fast. What is also neat about this thing is that it comes with dual temperature settings. You can set this particular pizza oven to either 350 degrees or 450 degrees. This might not be ideal for all purposes, but it works well for pizzas, and even other things like cookies and pretzels. 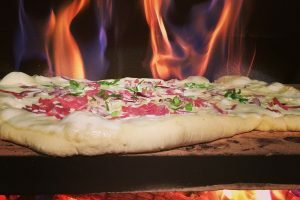 The heating elements in the Wisco Digital Pizza Oven are long-life calrod heating elements, so in other words, they do last quite a long time. The overall level of durability here is quite high, which is an obvious bonus. We also like how the tray inside of this pizza oven is removable, because it makes things a lot easier when it comes time to clean up. The bottom also comes with a crumb tray to collect and easily clean anything that falls down out of the main compartment. Like we said, the Wisco Digital Pizza Oven may not look very nice, it is very energy efficient, it works fast, and it works quite well. 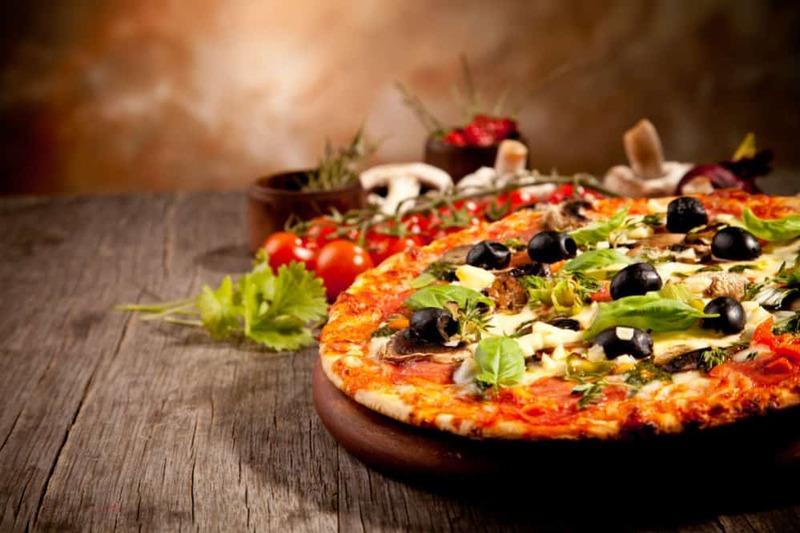 In terms of counter top pizza ovens, all five of the above options are nice to go with. Yes, they all differ quite wildly in terms of the way they look, but they all work in much the same way to cook pizza. Yes, they do all have small differences between them, but they are all really convenient and small pizza ovens to go with.